Louth Contemporary Music Society Celebrate Terry Riley’s 75th Birthday with Terry Riley, Talvin Singh, George Brooks, California Kirana – The West Coast Legacy of Pran Nath in the An Tain Theatre Dundalk. Louth Contemporary Music Society, is honoured to present the world famous Terry Riley as he celebrates his 75 birthday to perform Indian ragas with arrangements on the saxophone played by the ever progressive saxophonist George Brooks and Mercury Music awarded tabla player Talvin Singh. Terry Riley who was listed in the London Sunday Times as “one of the 1000 makers of the 20th Century” is one of the founder fathers of minimalism in music. Terry Riley first visited and performed in Ireland at the invitation of Louth Contemporary Music Society at Drogheda Arts Festival in 2007. 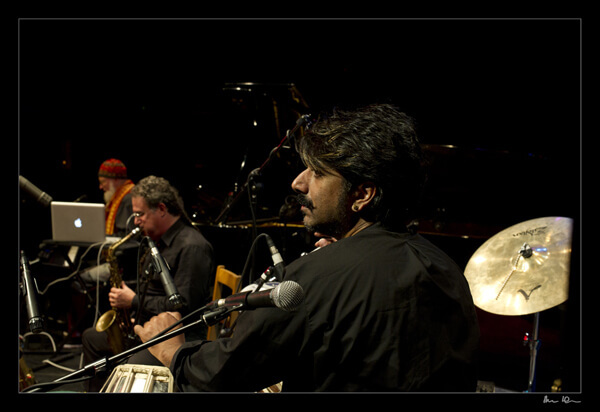 This show is not only to celebrate Terry Riley’s birthday and welcome return to Ireland, but also to see how Indian Classical music so easily flows into Jazz and minimalism, as well as seeing the young maestro and experimentalist of tabla, Talvin Singh, to perform in a traditional context. Music, like all living beings, must evolve to keep pace with a changing environment. The ancient arts of India struggle for survival in a world moving at an every increasing speed. Technology and desire for wealth move us forward and leave little time for the reflection and introspection necessary to evolve the high art known as raga. Pran Nath’s music was rooted in the masters of the late 19h and early 20th centuries. As a young man he survived a harrowing journey during partition from Lahore to the new nation of India and later to the US where his most dedicated students absorbed his teachings and continue to reflect on them in deeply personal forms of artistic expression. Pran Nath took the ancient traditions of fierce dedication to craft and guru and handed them to a new generation of American disciples. Terry Riley, Talvin Singh and George Brooks will perform traditional ragas arranged for piano, voice, saxophone and tablas, focusing on some of Pran Nath’s favorite ragas from the Kirana tradition such as Darbari, Bageshri, Malkauns, Yemen and Bhimpolasi. In addition they will perform works from the Riley-Brooks duo repertoire including movements from “Salome Dances for Peace“ and “Ebony Horns“. Each artist will also perform a solo work. 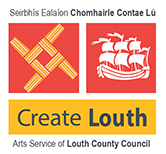 California Kirana – The West Coast Legacy of Pran Nath is presented by Louth Contemporary Music Society (LCMS) in association with Create Louth. 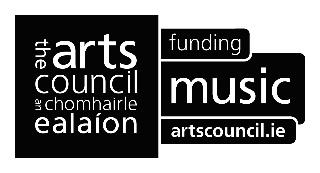 California Kirana – The West Coast Legacy of Pran Nath is funded by The Arts Council / An Chomhairle Ealaíon and financially supported by Dundalk Town Council and Louth County Council. RTE lyric fm are the media sponsor. movement with his revolutionary classic IN C in 1964. This seminal work provided a new concept in musical form based on interlocking repetitive patterns. Its impact was to change the course of 20th Century music and its influence has been heard in the works of prominent composers such as Steve Reich, Philip Glass and John Adams. Talvin Singh Producer, composer and tabla player. The Mercury Music Prize 1999 winner is known for creating an innovative fusion of classical Indian music and drum and bass. He is generally considered as a central figure in the electronica sub genre called Asian Underground. Also, his traditional tabla playing has gained him world recognition and respect. He has worked with the likes of Bjork, Blondie, Madonna, Siouxsie & the Banshees, David Sylvian, Sun Ra, DJ Spooky, Massive Attack, Future Sound of London, Ryuchi Sakamoto, The Master Musicians of Jajouka, and Nusrat Fateh Ali Khan. George Brooks has performed with such notable musicians as Etta James, the Brooklyn Philharmonic, Kronos Quartet, Anthony Braxton, Zakir Hussain, and Terry Riley. His original compositions combine elegant melodies with the rich harmonies of modern jazz and the driving rhythms of North India to form a unique and wholly satisfying musical experience.